our maui story: as told by instagram. i am SO proud of myself for completing this particular project! it is no secret that i am a self professed instagram addict. i love it. plain and simple. i love documenting anything and everything i am feeling, experiencing or captivated by at any particular moment. these images are TRULY reflections of myself feeling present, grateful and wanting to celebrate the amazing things (both big and small) that i am surrounded by. so needless to say when we vacationed to maui this past fall, i took over 100 instagram photos during our entire vacation. i had my other camera with me too, but to be honest these are my FAVORITE images. they are truly a reflection of all of the incredible blessings we experienced, our "in the moment" moments that i never want to forget. so to print out all of my instagram photos i uploaded them to persnickety prints and had them print them out for me 4x4 size. i ADORE how they turned out and will definitely be using their services again. 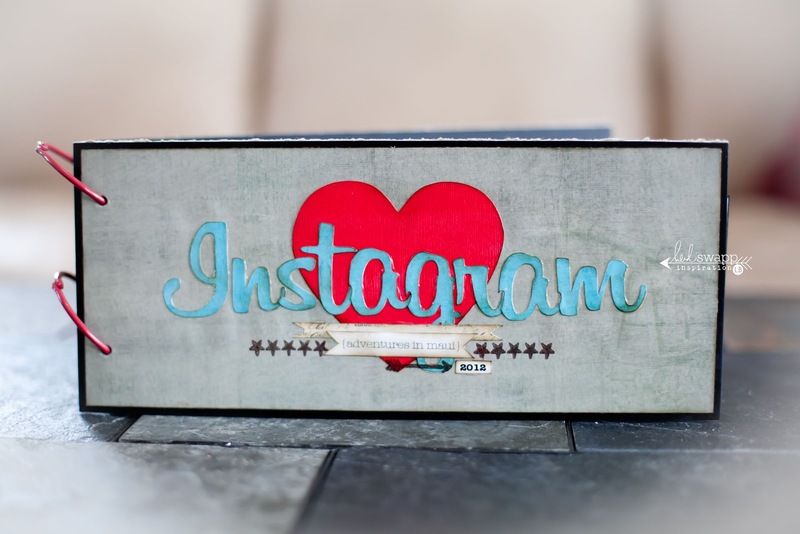 a GREAT way to get your instagram images printed and super easy. I LOVE that they ship to Canada too...bonus! Thank you persnickety, you ROCK! because i had SO many photos to scrapbook i wanted a project that was super cute and creative, but that was also really easy to compile and not overwhelming. i do not have tons of extra time so something that would be time friendly was also on my priority list! what i came up with is this little (well not so little) album. I cut a piece of black chipboard into 2 5x12 inch pieces for my cover. the back of the cover i left black, but the front of the cover i embellished using Heidi Swapp No Limits Schematic paper as my background. I them used my Silhouette to cut out the word "instagram" billabong font out of No Limits Forever paper. I also used my Silhouette to cut out the basic red heart shape using Bazzill card stock. I embellished with a Heidi Swapp paper banner and Heidi Swapp acrylic stamps. I just ADORE those stars, I can never get enough of them. Once I had everything adhered down on my cover I applied a thin layer of mod podge to seal it all. for my inside pages, i kept the design and layout super simple and very attainable. all i did was cut a bunch of pages to 4x12 and adhered my instagram images side by side. some pages have all photos, others have a 4x4 Heidi Swapp paper from the vintage chic collection, and some have flap pages that I made using an instagram image as the front and then the inside is hidden journaling. for these flaps i simply cut a page 4x8 and folded it in half. i also made cut little tabs using my Silhouette machine and Heidi Swapp Vintage Chic Just Dots paper. 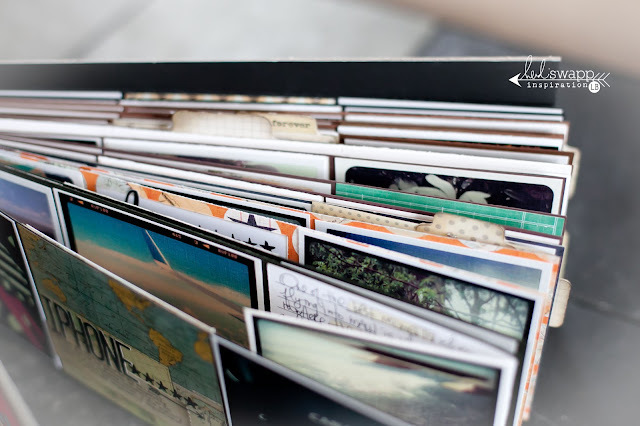 I simply stapled them to random pages and to the photos that I made into interactive hidden journaling pages. 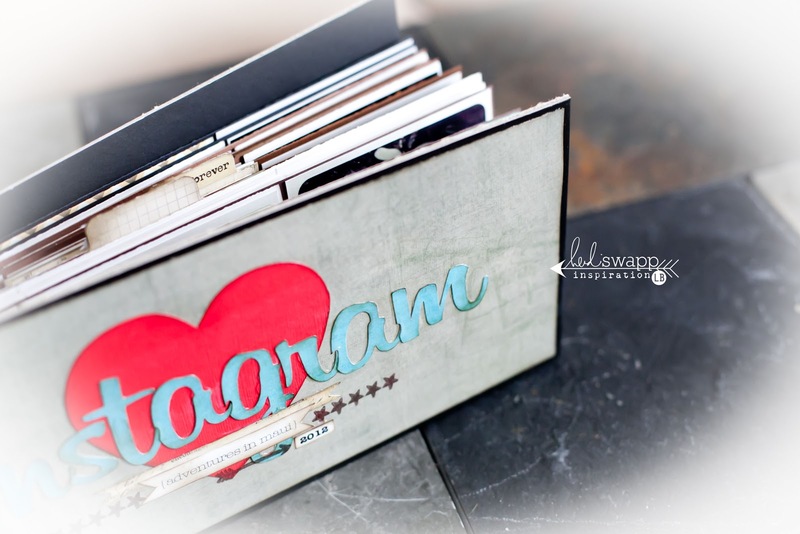 I further embellished my album using Heidi Swapp's acrylic stamps, sentiment stickers, sentiment definitions and letter epoxy stickers. 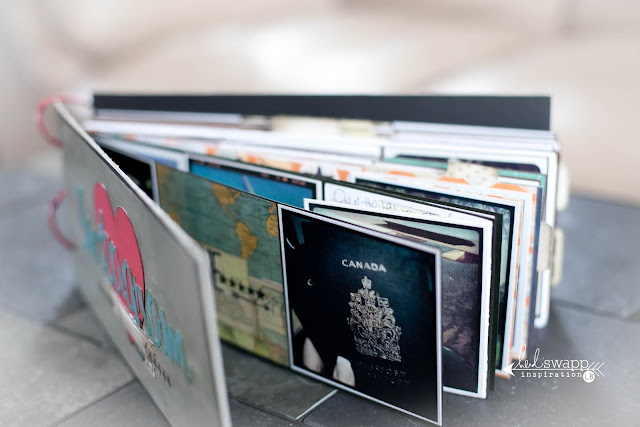 once i completed all of my pages, i punched 2 holes into the chipboard covers and each page and bound the album together with 2 jumbo sized key rings. this is definitely an album i will be reproducing again. it tells a beautiful photographic story and each image acts like it's own little work of art. i hope you are inspired to gather together your instagram collection, print out some photos and create an album of your own. have fun making pretty stuff! GORGEOUS!!! 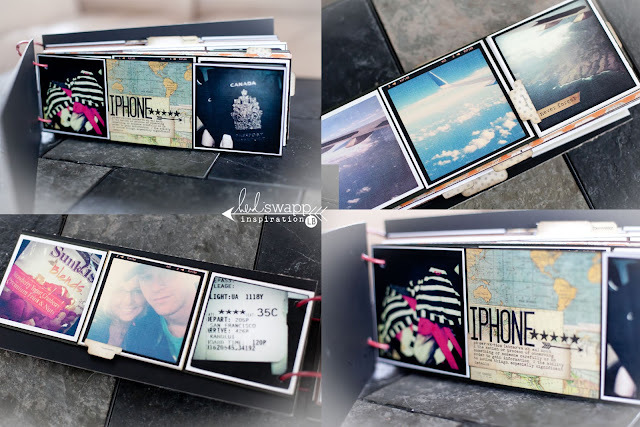 OMGosh I MUST make one of these!!! Just fabulous! This is such a fabulous album, I LOVE my iPhone for those quick in the moment pics...this would make a great "year in view" album! Thanks for sharing this awesome project! 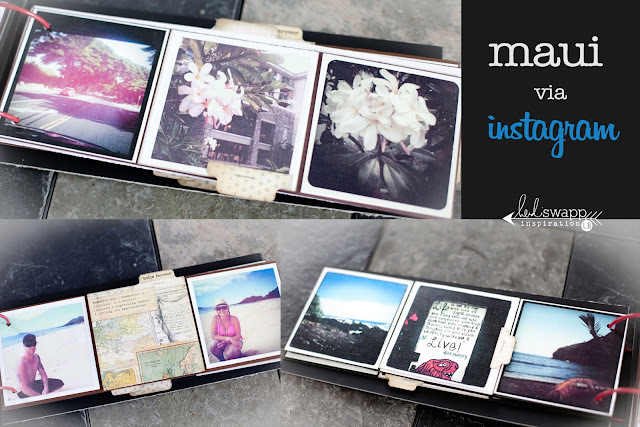 This is such an awesome idea for an instagram album! Thanks for sharing! Lindsay...This is such a fabulous mini!!! Your enthusiasm for it alone makes it such a wonderful collection. I really, really love this idea! And you completely rocked it. 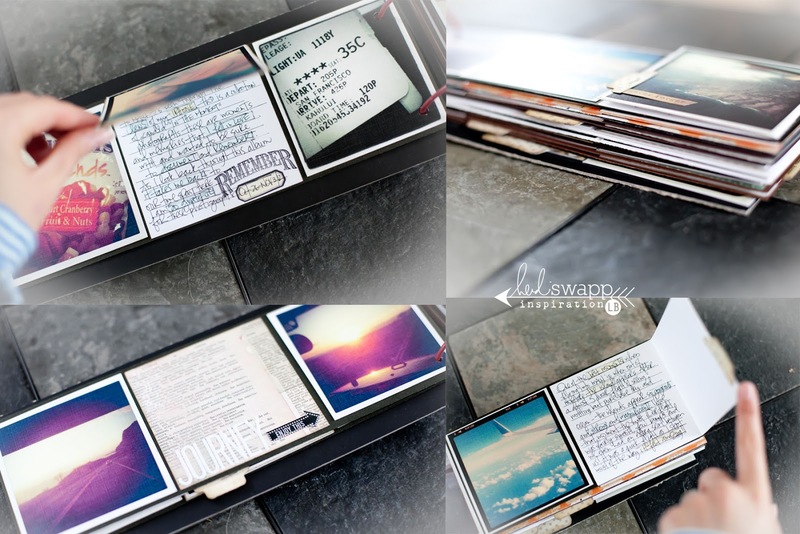 Thank you so much for sharing this fabulous project, and such amazing photos and memories! Are you kidding me right now???? Lindsay! This is gorgeous! It's really just perfect...and, yet again, you've so inspired me with this project. I'll definitely be producing something like it...you are amazing!!! The way you put things together...your interactive pieces...your photos...you design elements...your choices of paper, etc...your handwriting...everything is just so fantastic. I absolutely love it...pinning!!!! So cute and easy! I'm definitely going to do something like this someday. Thanks for sharing! love . love . LOVE it! do you know how AMAZING this is LOVE LOVE LOVE it to pieces!!!! !